Unlike others - MARTINS PHILATELIE only charges your credit card when we are ready to ship your merchandise - not when your order is placed! The present general terms and conditions apply and are acknowledged by the customer with placement of order on the following websites http://www.martins-philatelie.de - http://www.martins-philatelie.com - http://www.martins.fr. The official language is French and the following terms are excerpts from our official French terms and conditions and serve as information for the customer only. The present terms of sale are acknowledged and accepted with placement of order – for international trade, our general terms of sale „Conditions générales pour commande sur Internet“ apply according to French law and will also be used in the event of a legal dispute. The place of jurisdiction for Internet orders is Sarreguemines. and any natural person or legal entity, either business or private, wishing to buy items on the website of Martins Philatelie. The characteristics of products offered for sale are displayed in the section “Stamps” of our website. Unless otherwise specified, photographs do not enter in the contractual field. The responsibility of Martins Philatelie cannot be engaged if errors have slipped into the presentation of products. We guarantee for the authenticity of each item offered for sale and shipped as much as for the compliance of the description; unless otherwise specified, all stamps are genuine and faultless in very fine condition, MNH = ** = mint stamp never hinged with full undamaged gum, FU = stamp fine used with original postmarks. Any other quality is always explicitly specified and advocated in the description, especially in the section ‘bargains’, for example for items defined by the sign “occasion”. All offered items are available for sale as long as the stock lasts. If an ordered product is not available anymore, the customer will be informed of its unavailability as quickly as possible via e-mail or mail. To place an order on the website, customers have to register with their password and their customer’s number or their e-mail address listed in our system. For a first order, customers need to follow a registration process indicated on the website. A lost password can be recovered by clicking on the link “Forgotten Password?” on the login page. An e-mail will be sent to you, which will allow you to reset your password. In the customer account available under http://www.martins.fr/login.html, at any time, customers can check and correct the data given during the registration process. Binding order agreement by clicking the button “send order”. The order process might be interrupted at any moment before confirmation (in case the internet browser is closed for example). A successful placement of order will be confirmed by an automatically generated e-mail sent immediately after order placement. Subject to quantitative restrictions. The sale will yet only be officially concluded once the customer received a written confirmation or when the ordered items have been shipped. Prices are in euros (€) with all taxes included (VAT and other taxes) and without shipping fees. Minimum order amount is 50 €. STAMP BOOKS, STAMP PACKETS and ACCESSORIES = for such bulky items additional shipment costs might occur, depending on weight and shipment address. The total amount to pay is displayed at the end of the order process before payment. The payment of online-orders by credit card is welcome up to 1000 €, above this amount, payment has to be made in advance by remittance on our account exclusively in EURO or by postal transfer, only for written orders to our postal address. Payments by Paypal is reserved for customers living outside the European Community. Please note: Unlike others - MARTINS PHILATELIE only charges your credit card when we are ready to ship your merchandise - not when your order is placed! Secured online-payment (SSL-norm); please contact us for eventual manual operations. All available products indicated as such on our website are usually ready for shipment. 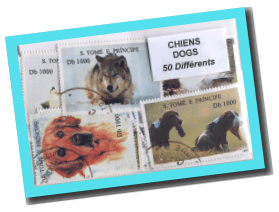 All shipments are privately insured and sent with philatelic postage without risk (discreet shipment if required) by the French postal service. Customers will be informed by e-mail once the order has been shipped. According to French law relating to the conformity of the contract, we will exchange or refund any obvious faulty stamp, or stamps which do not correspond with your order. Martins Philatelie guaranties best quality and authenticity of all stamps without compromise, all stamps are without any faults in very fine condition. Entrepreneurs must notify us of any obvious faulty stamp within a period of two weeks from receipt of the goods, otherwise, right to assert guarantee claims shall be excluded. The dispatch of the goods during that time frame is sufficient in order to safeguard the deadline. The entrepreneur is nevertheless responsible for the full burden of proof for all prerequisites for claims, in particular for the defect itself, for the point in time the defect was found and for promptly lodging a complaint of the defect. In case the provided stamps are faulty, the statutory warranty claims apply. The products displayed on the website comply with the French legislation in force. Martins Philatelie declines all responsibility in case of non-respect of the legislation of the country where products are delivered. It is up to the customer to verify with the local authorities the possibilities of import or use of products. Martins Philatelie shall adopt the necessary measures to ensure results at all stages of taking orders and is responsible for the necessary steps after the contract is concluded. Therefore, Martins Philatelie is firmly committed to describe with great accuracy the products sold on the website. Martins Philatelie hereby disclaims liability for any failure to perform its obligations under this Contract of Sale due to a third party from this contract or as a result of the occurrence of circumstances of force majeure (defined as any unforeseeable or unstoppable outside the contract) as defined by French law. Also, Martins Philatelie denies any liability for any inconvenience or damages due to the use of internet, such as a breach in service, outside intrusion or the presence of a computer virus. All texts, images, illustrations, procedures and techniques on the website are reserved, for the whole world, to the bond of copyrights and intellectual property rights; any reproduction of them, even partial, is strictly forbidden. Stamps with Nazi symbols are only sold for historical and philatelic use in a stamp collection and do not intend to propagate ideas from the “Third Reich”. The characteristics as much as the periods of validity of limited offers and individual products are provided by the means of the article descriptions within the scope of our internet offer. Complaints and warranty claims shall be addressed to the mentioned address in section 2. “Conclusion of the contract”. You can verify your personal data before conclusion of the contract of sale and, if necessary, correct or amend any errors by using the “previous” button of your internet browser. Our offers are saved and can be accessed via the respective reference number of the article. You can print the website via the printing function of your browser. You can also save the text of the present terms and conditions on your computer by clicking the right mouse button and save the current page. No further warranties are granted apart from the warranties mentioned above. The European Commission has put in place a European Online Dispute Resolution (ODR)Platform. You can find the platform at http://ec.europa.eu/consumers/odr/ . We are not obliged to engage in the online dispute resolution process and are not willing to accept any complaint through this platform. The protection of your private data is taken very seriously and is one of our priorities. Our websites are protected against any possible damage or deterioration that could occur. During the collection and usage of your personal data, Martins Philatelie strictly respects the provision of European General Data Protection Regulation (GDPR) from 2018 as well as the provision of a declaration relating to data protection at the “Commission Nationale de l’Informatique et des Libertés” CNIL (National Commission for Data Protection and Liberties). French law shall exclusively be applicable. The application of the United Nations Convention on Contracts for the International Sales of Goods is expressly excluded. The competent court in the event of a dispute with an entrepreneur will be 57200 Sarreguemines, France. The directive 2011/83/UE of the European Parliament and the Council of 25 October 2011 applies on consumer rights. Items differing from our description are taken back, if returned in original condition within 14 days after reception.